Here is a fun project for you and your child to share! You can build an entire city with this series of printables. This one is a police car, to fight crime in your paper city. Help your child use the scissors, which is great for building fine motor skills. We recommend printing on thicker paper for best results. Keep on constructing with more Build a City sheets. Here's a project you can share with your child, building a city together! Every city needs a police station, and she can colour, cut and fold this herself. Every city needs an ambulance! Share a fun paper project with your child building and coloring a city of your very own with this series. 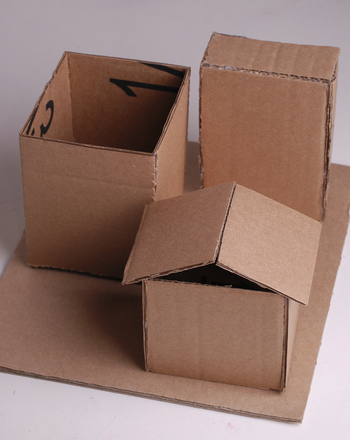 Exercise your imagination, and share a fun paper project building a city with your child! Here is a corner store to start you off. Looking for a rainy-day activity? Start building a city with this series of cars and buildings! Here's a taxi cab to start you off. All cities need a school bus! Help your child cut out and tape this fun printable, and she'll be on her way to building her own city. 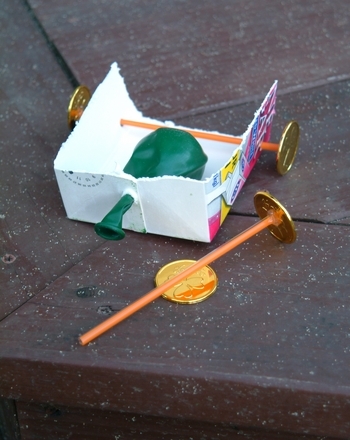 This balloon-powered car project is a great way for your kid to learn about energy and how it can be used efficiently.